In this timely First Time Book®, the Berenstains once again prove they have their paws on the pulse of America! 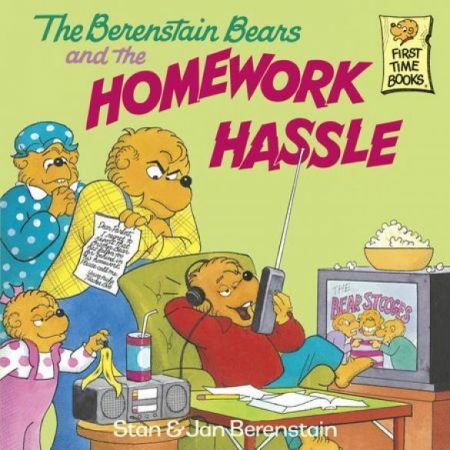 Mama and Papa Bear are stunned when they receive a letter from Brother Bear's teacher. Even though Brother Bear sits down diligently every night with an open notebook, he has not been completing his homework assignments. After taking a closer look, Mama and Papa realize that there's a whole lot of competition going on for Brother's attention. He's watching TV, listening to his boom box, talking on the cell phone, and playing a video game. Join in the fun and learning as the subject of multimedia distraction is tackled with wit, wisdom, and aplomb.